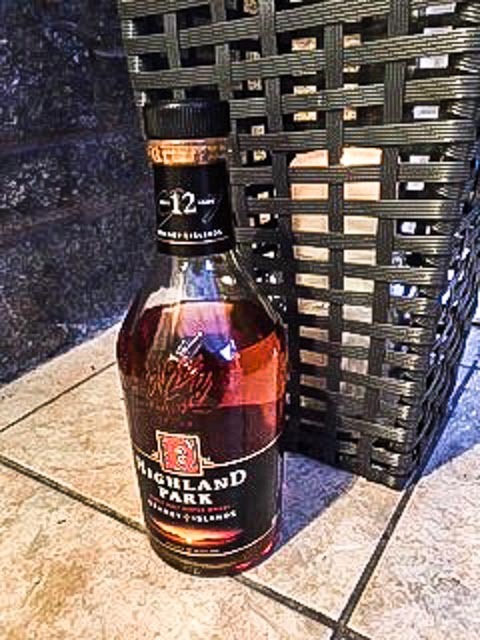 My Dad had a Highland Park 12 every night for most of his life. A frequent visitor to Orkney he was familiar with the distillery and many of its staff. I like many HP expressions but have misgivings about the pricing and some of the NAS expressions although I loved Dark Origins. The core age statement range still remains benchmark classics. My son did a friend a favour and was given an old HP12 from 1990. He opened it fearing it might be a ‘fake’. He was determined to drink it not sell ity, just to test his suspicions and I was enlisted to help in the process. Now as we all know, whisky does not mature in the bottle so we were tasting a 12-year-old distilled around 1978 and bottled in 1990. I do not know how stocks were at that stage so it may contain some older whisky. Nose: citrus toffee, smoky embers, liquorice spice brazil nuts, almonds, grass, evolving to oak notes. Palate: toffee, liquorice, peat, oily, biscuit very ginger. Spice, pepper, deep chocolate, Turkish delight note roses with icing sugar full bodied musty leather and tobacco. Finish: Medium, hot spices blackberries pepper and chilli. Great smoke almost charcoal. It is still a great whisky, spicier and smokier, with the smooth toffee mouthfeel and complexity. The nose is unmistakably Highland Park on both, the palate and finish have changed on these examples. The hot spice and charcoal on the 2018 was interesting. The 1990 to my taste was much better reflecting to some extent my ongoing prejudice for older whisky. The smoother toffee of the 1990 on the palate balanced more complexity, it was a really great dram. I will look forward to continued my visits to my son’s house. What a great whisky. As to the reason for the differences. It could be just different batches of barley, barrel differences, who knows. I wondered if HP was using a different barley mix possibly with hybrids The increased spice and decreased toffee notes led me to that piece of speculation. My bias suggests that cask quality was better in 1990 than it is now despite the undoubted efforts of HP to maintain consistency. “I only started in the company in 1998 so don’t have knowledge of the barley varieties used prior to that date. We certainly don’t use Golden Promise nowadays and I have no idea what we would be using prior to 1988. Back in 1990 when the first bottle was produced, I think we only had the 12yo in the portfolio so it would have had access to the full range of maturing stock and would have contained stock significantly older than 12yo. 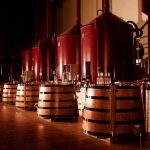 Nowadays, we have a significant number of expressions and I have to be much tighter on the use of aged stock and of each cask type to ensure I can supply the growing demand. As such, the age of the 12yo is much closer to 12 now than it would have been in 1990”. I had asked if HP had previously used Golden Promise. Orkney has grown Bere Barley for many years. Of course, Golden Promise was used by other brands in the Edrington group notably Macallan. It is now also used to great effect by Glengoyne. So stock ages in the blend are still probably the main reason for any differences. 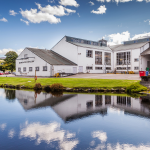 Nevertheless, it is incredible how the stills produce such a recognisable backbone to these malts which has endured over the years. Once a whisky geek! If you are a Highland Park fan and there are justifiably many try to track down a bottle – last seen at about £200.